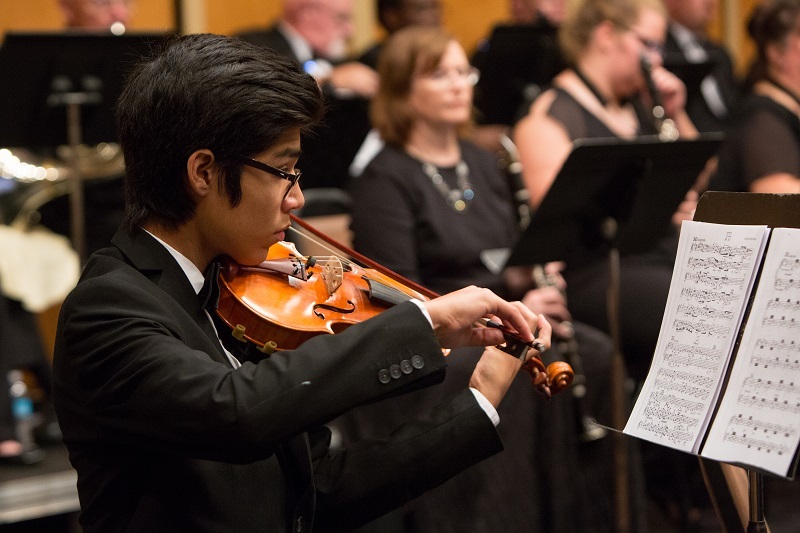 The Southern Symphony Orchestra will present “Rhapsodies with Roger!” at 7:30 p.m. Friday, April 14, in Taylor Performing Arts Center at Missouri Southern State University. Under the direction of Dr. Jeffrey R. Macomber, the orchestra will be joined by Roger Wright – a guest concert pianist from Los Angeles, Calif. A frequent award winner in international piano competitions, Wright has appeared with the Houston Symphony, the Calgary Philharmonic and the Orquesta Sinfonica Nacional de Costa Rica and many others. He previously performed with the Missouri Southern orchestra for celebrations of music by Gershwin and Rachmaninoff. Admission is free and open to the public. It is made possible by a grant from the Vivian Leon Music Fund of the Community Foundation of the Ozarks, donations made through the Missouri Southern Foundation and by the Missouri Southern Department of Music. In addition to the concert, Wright will offer a master class in piano performance at 4 p.m. Thursday, April 13, in Webster Hall’s Corley Auditorium. The event is also free for the public.